I teach a wide-range of all pupils. Some are complete beginners and others have either failed their test, need refresher lessons, advanced courses or pass plus. 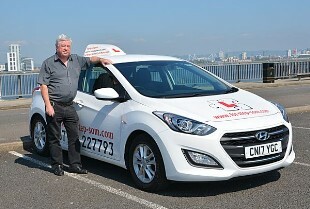 Unlike many of the Cardiff-based driving schools I cover a wide area — from Blaenrhondda to Porth and everywhere in-between. I can also pick up and drop off in different places if you ask in advance. Strictly one-on-one tuition with no other learner in the car. I can also offer help with your theory test preparation, with the opportunity to take a mock test to prepare you for the real thing.